Cups and mugs are often displayed on cup stands or shelf hooks when not in use. Displayed in this manor the cup swings down finding its own point of equilibrium from the handles pivot point. 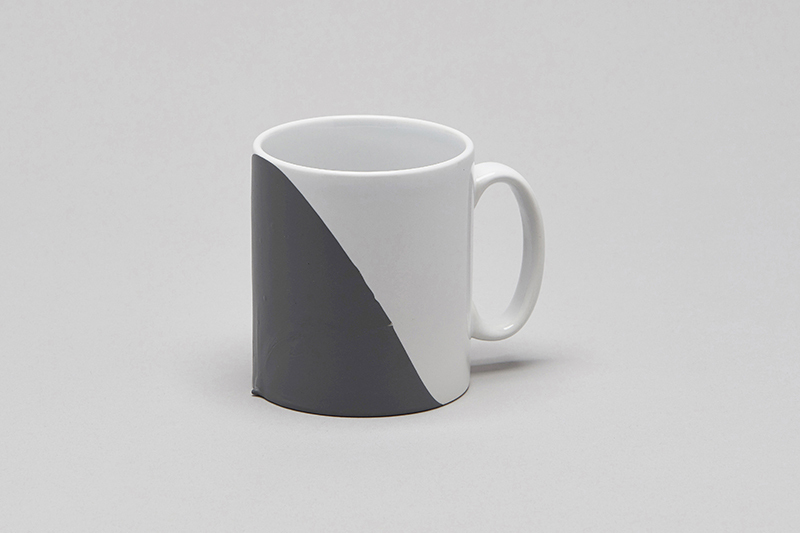 In this position the cup is dipped in paint revealing the horizon that contradicts the cups orientation when positioned upright on a flat surface. Pictured here on a archetypal Cambridge Mug.